We are conveniently located in theFlatbush & Nostrand area of Brooklyn!!! ​Precise Taxes lets you process your entire payroll in three simple steps. Once you’re set up, all you need to do is confirm or update any information. 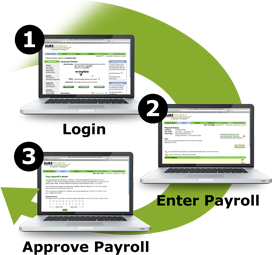 Enter payroll in three simple steps anytime, and anywhere. Just click, preview and approve — and payroll’s done. ​Precise Taxes, LLC offers the best full-service payroll solution for your business. From state-of-the-art online technology, to attentive payroll experts, we own your worries from start to finish. When you use Precise Taxes, your payroll will be processed and your taxes are deducted, filed and paid in just minutes. Our comprehensive solution is easy-to-use, and our pricing structure is easy-to-understand.